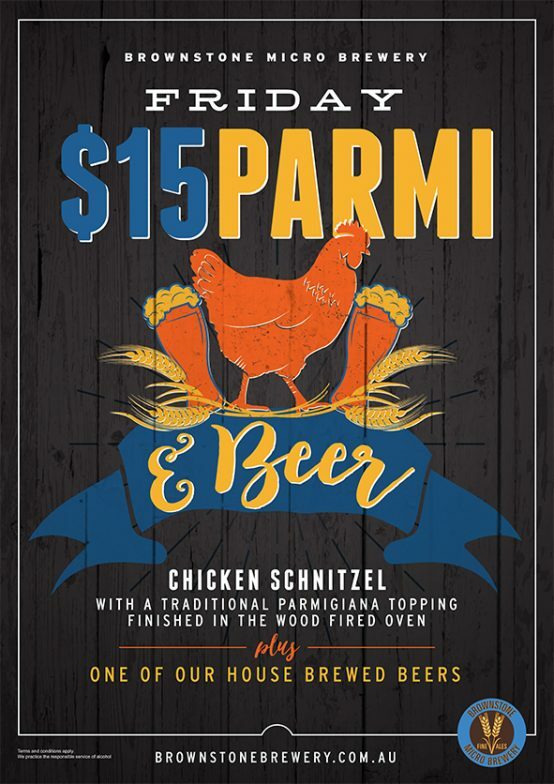 $15 Parmi on Friday at Brownstone Micro Brewery. Our ‘world-famous-in-Dandenong’ Chicken Schnitzel with a traditional parmigiana topping is finished off in our authentic woodfired oven served with one of our house brewed beers. All this for only $15 – that should satisfy even the grumbliest of tums.